After a year living on an remote island, I confess to having had no moments of epiphany. I haven’t made big, dramatic new discoveries about myself or the world around me. But if I have to point to one learning, the experience has helped me see more clearly that the most important thing in the world is to surround oneself with good people. This year, we have lived happily on a small income in a remote place among people we didn’t know before. Sure, this island is beautiful. Stunning. 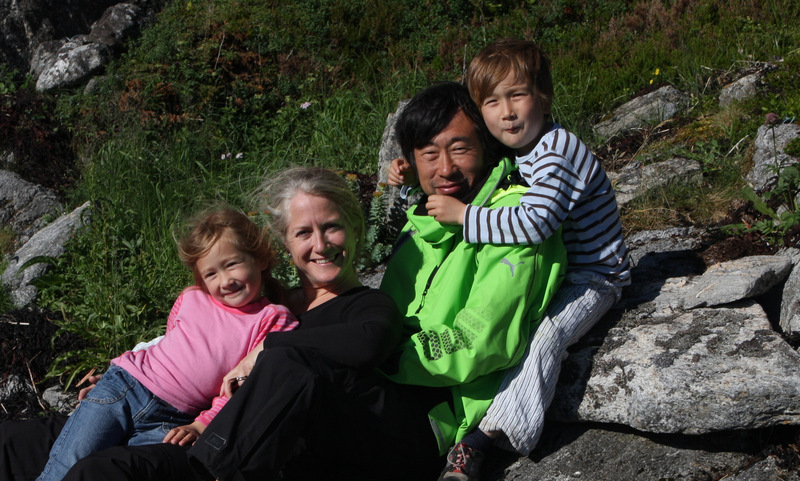 But what really made us happy was having the four of us together, and having the wonderful people of Rødøy around us. We recall on a school hiking trip shortly after we arrived, Marcus said he was tired. In an instant an older boy picked up Marcus and carried him the rest of the way. And that’s just one of many, many examples of how people in this community warmed our hearts. Like any fundamental truth, we hear it so often that its meaning becomes diluted. And we start to equivocate – “Yes I know that, but…” Unlike money, status, power, fame, whose effects tend to wear off quickly and then we aspire to the next tier, the effects of people around you are absolute. There’s no getting used to good people, or bad people. This is an empowering bit of knowledge. It means as long as we have our little family and surround ourselves with good people, we can be happy. All the rest is extra. It is all about the people in your life. Thanks Winston! and I leave my “Right on.” I have the perspective of 70 P+ years. Looking back what is outstanding are the moments of connection, of kindness, of quiet communion. This is wonderful. My wife loves this poem so much she posted it on Facebook. Thank you, Winston, for such truly words! Just yesterday my family and I selebrated my birthday and it was happiness for all of us – not very often we meet now. But always people bring us happiness! and to continue… I wish you and your family have a good trip to Boston and hope to meet you again on this pages… Be happy! Maybe not an epiphany for you, but certainly a year long validation of what truly matters most … you lucky devil. Thanks so much everyone for your thoughts. I’m privileged. Hi Winston! It’s been great reading your blog and sharing your adventure. I’ve truly enjoyed the photos, the smiles, the candor – you’re really good at this blogging stuff! Hope to connect when you’re back in the States!